As a composerVinny Golia fuses the rich heritage of Jazz, contemporary classical and world music into his own unique compositions. Also a bandleader, Golia has presented his music to concert audiences in Europe, Canada, Mexico, Japan, Australia, New Zealand and the United States in ensembles varying dramatically in size and instrumentation. Mr. Golia has won numerous awards as a composer, including grants from The National Endowment of the Arts, The Lila Wallace Commissioning Program, The California Arts Council, Meet the Composer,Clausen Foundation of the Arts, Funds for U.S. Artists and the American Composers Forum. In 1982 he created the on-going 50 piece Vinny Golia Large Ensemble to perform his compositions for chamber orchestra and jazz ensembles. A multi-woodwind performer, Vinny's recordings have been consistently picked by critics and readers of music journals for their yearly "ten best" lists. In 1990 he was the winner of the Jazz Times TDWR award for Bass Saxophone. In 1998 he ranked 1st in the Cadence Magazine Writers & Readers Poll and has continually placed in the Downbeat Critic's Poll for Baritone& Soprano Saxophone. In 1999 Vinny won the LA Weekly’s Award for "Best Jazz Musician". Jazziz Magazine has also named him as one of the 100 people who have influenced the course of Jazz in our Century. In 2006 The Jazz Journalists Association honored him with a Lifetime AchievementAward. Percussionist/Composer/Instrument Builder Nathan Hubbard works in many different fields, but in general his work shows a decided interest in exploring the possibilities of sound and embracing the passing of time. This interest in sound can be seen in everything from his extended sound language as an improvisor to his homemade and found instruments. The different rates of passing time become relevant as both a rhythmic impetus and defining element in his compositions and their changing definitions of form, shape and outcome. 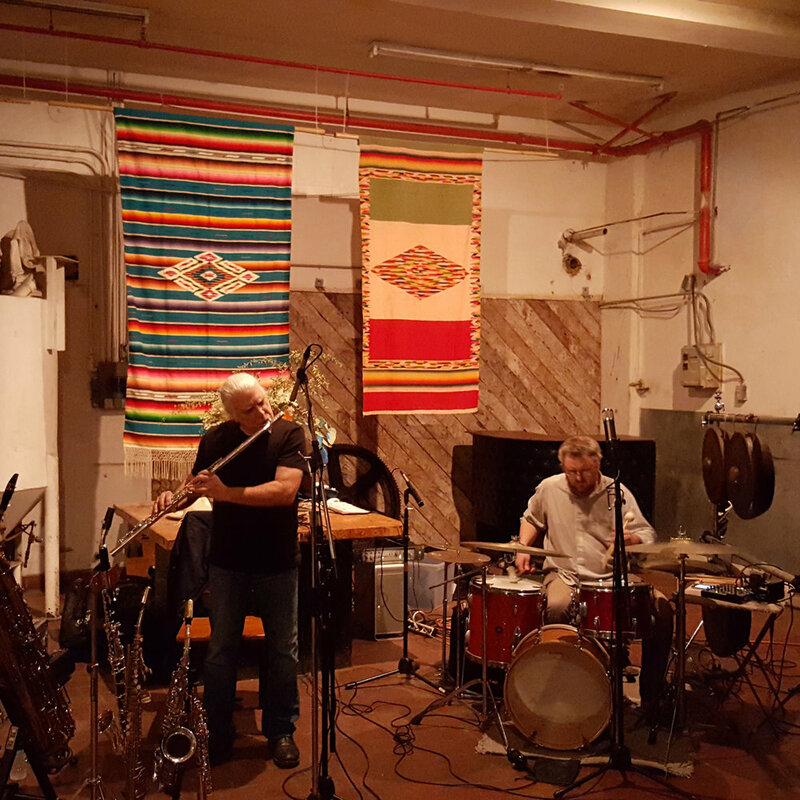 Musically his explorations range from solo improvisations through small group collaborations to large scale compositions for his twenty-six member large ensemble, Skeleton Key Orchestra.